I'm an architect. And I make lists. Welcome to my world. I'll let you in on a secret: I've not visited this list for years. 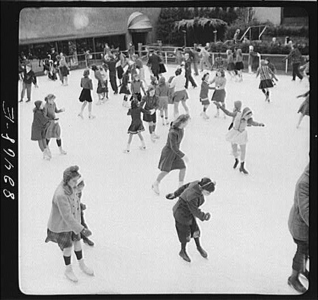 But today's news, that Bryant Park is going to install an ice rink, is welcome news. First, because Bryant Park is a case study on how to create more density in a city, and have it pay for the improvements in a public park. Bravo! Second, because I studied this idea for a former employer while working on our own new-park proposal. We got the job in part because of our Ice Idea.